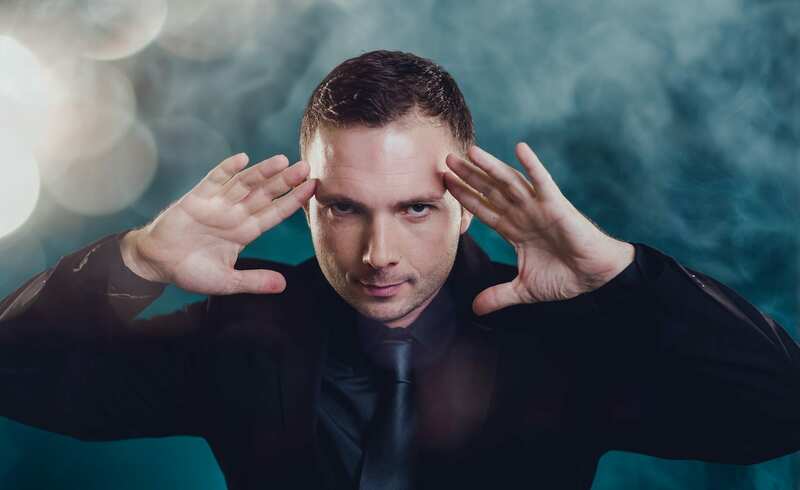 Larry Soffer's blindfolded drive at Killarney has to seen to be believed | Eat. Play. Drink. Cape Town. IT’S not every day you get so lucky as to sit down with Larry Soffer for an hour of one-on-one fascinating conversation, inspiration, and some good old-fashioned mind-reading. There was lots to talk about, beginning with Larry’s upcoming stunt at Killarney race track on September 22, when he will drive blindfolded. To give me an idea of what this will entail, Larry took out his phone and showed me a video in which he places a stainless steel mask over his eyes, and then a black cloth bag over his head. His wife and manager Sanet was in the passenger seat, filming the practice run, complete with gasps and squeals (which sound funny when you’re not the one in the car) …this is dangerous stuff and should not be done by anyone who is not experienced or training in the matters of what is called “remote viewing”. In case you’re thinking Larry will be driving like Captain Slow aka James May from Top Gear, think again. He’s going to be clocking up a respectable speed as the tackles the bends and curves of Killarney. While I’m confident Larry will remain cool, calm and collected throughout, I can’t say the same for whoever is going to be next to him (especially when at one point in the video Sanet whimpers “I don’t want to do this anymore…”). Yes, us too, Larry. Us too. “The reason I do anything I do – particularly in my art form – is to inspire people to believe in the impossible,” he continues. “So when I blindfold myself I really try get the idea across that I believe everything we need to create whatever we want in our lives exists in us right now. Each flowing as smoothly as the other, Larry does do motivational speaking as well as mentalism, at the level of corporate events, gala dinners, end of year parties, private functions, weddings and so on. 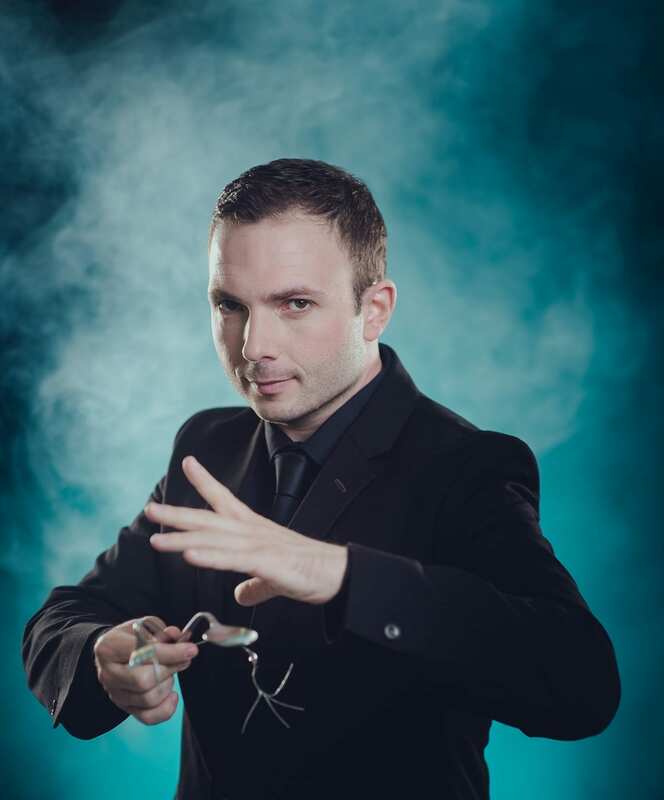 His performances to the general public are limited and rare, but he is on the lineup for the upcoming seventh season of Monday Night Magic. And if you’re as fortunate as me, you get your own private show. Larry’s patter is smart and funny, he laughs a lot, and the things does are nothing short of amazing. I remain in the eternal conflict of the spontaneous table-slapping “how the hell did you do that?” reaction, followed swiftly by “no, don’t tell me.” Because how else does one retain the marvel and wonder? Selfishly, I’m not going into the details of what Larry did that day; suffice to say it was literally (and I always try to use that word correctly because I still have not literally died) incredible. And yet, there it was. It happened, right before my very eyes. A day on which you get to believe the impossible is always very special.